it's bright, and a hint of summer in a bland period of time. It seems to hint a neon-pastel brightness with a hint of pink. I noticed that I just don't love it as much as I previously had. a proper two coater and it doesn't chip or peel for a few days. This is so strange for me, as there are very few polishes I dislike right off the bat. I still change things up. 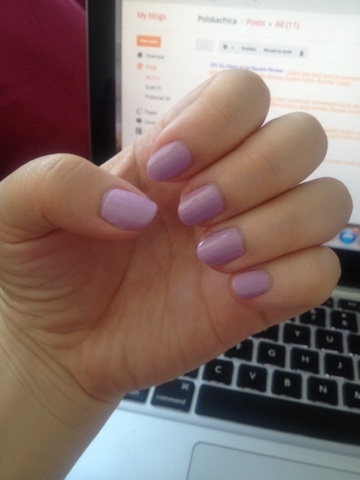 I am honestly stumped when it comes to this color right now. Have you come across a polish that you love at one point but just hate at another time?